I spotted that GRUB were making an impression in Manchester’s lively food scene a few months back, and in the very short time since GRUB has turned around two very successful street food events. The first, pairing street food with coffee (Cup North), and the second, providing an essential street food ‘pal’ for the beer at The Blackjack Winter Beer Festival. 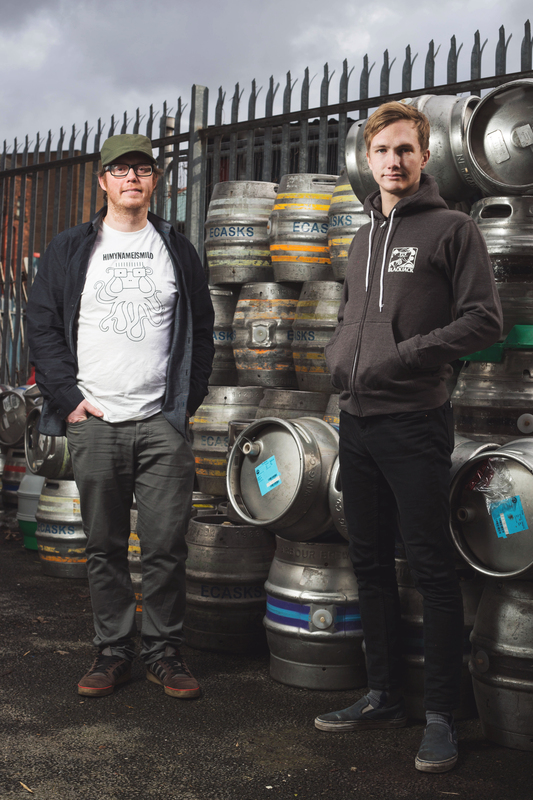 I met with Jason Bailey, founder of GRUB and Jon Hartley, from Blackjack Brewery and Shebeen events to talk about their exciting new plans to transform a draughty railway arch in the shadow of the new Co-Op building (on the Northern tip of the city) into something pretty special. GRUB’s next event is set to be bigger and better, and also more permanent. I caught up with the hardworking business partners to delve a bit deeper into the plans they’re hatching under those neglected, but promising, railway archways. What was your background before starting GRUB? Bailey: For a couple of years I ran a street food stall, Arepa Arepa Arepa. We sold Columbian food. When Levy market started locally to us we really wanted to get involved – Levy is a hotbed of people with a massive interest in food and the market is really great. I also used to write a food blog called ‘Good Gobble’. How did the food blogging and the street food lead to you starting GRUB? Bailey: I suppose it was selling food at other people’s events and seeing that things were starting to slide towards something that wasn’t interesting for me, especially in Manchester. Instead of exploring the food options, street food events were narrowing them. That’s not really what street food, for me, is about. For me it should be a mechanism allowing people who like food to really get into it. It should be an opportunity for people who have never been chefs, and haven’t got tens of thousands of pounds for investment; for people who just love food. To be able to deliver one type of food amazingly you just have to love it and commit to it for a while. You’re not a chef, you’re a street food cook and that is very different. I believe we should be celebrating what street food has the potential to be, but I was seeing a lot of sellers going down this safe and obvious route of burgers, pizzas and hotdogs. I love burgers, pizzas and hotdogs and I have nothing against them, but I don’t think that’s what street food events should be all about. We should be opening doors for people who want to try new things. We shouldn’t be bringing in big named restaurants who already have a name for themselves. 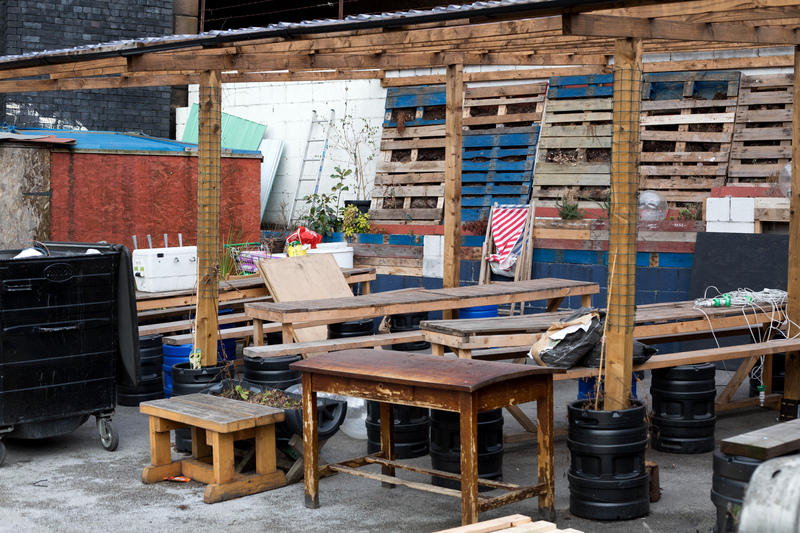 It is political, and there have been a lot changes happening in Manchester related to street food over the last couple of years, but personally I believe street food should have quite a DIY, grass-roots ethic to it. We want to offer an alternative to the current scene that’s forming. What was the first event you put on as GRUB? Bailey: The first event was Cup North, a coffee event at the Artwork building. It was in a location that had never been used in that way before and the guys who ran it were super independent and hadn’t done anything of that scale before either. We all wanted to go out of our way to do something different. During that event GRUB ran the street food markets on the site and Jon provided the bar. We had this soft rule about curating the food line up; we decided we’d never have more than one ‘thing in a bun’ trader at the same time as another. I do believe quite a lot of people in Manchester are becoming disillusioned with Street food because of this trend towards dirty food; we wanted to address that. Across two days at Cup North we had two sellers who’d never traded street food ever before. We went out of our way to get new and interesting people out there, to get them trading for the first time. You’ve helped new traders get their businesses off the ground? Bailey: We helped them get through all of the legal procedures, like registering with the council and health and hygiene, just so that they could make their selling debut and have a go. We made it our job to reduce the barriers that might have otherwise held them back. This is one of our main aims in our next venture. Perhaps in the past I have gone one step further with helping new sellers to find their feet. I think I perhaps ‘bullied’ them into following the path they’ve been dreaming about! There are friends who I’ve convinced to take the steps into selling, and they’ve gone and done it and ended up really loving it. One set of friends, Jamie and Anna, from ‘Manchester Foodies’ have taken serious steps to becoming a street food trader because of our encouragement and support. Jamie is a massively talented baker, and their Spanish street food ‘Comida’ is absolutely amazing. We’ve got hopes that one day we might convince them to join us in one of the neighbouring arches in the Green Quarter. Bailey, you no longer sell food at street food events? I love selling food as ‘Arepa Arepa Arepa’. Yeah, it’s amazing, but no, we don’t do that much street food anymore. These days we’ve got a supper club at Trove once a month which is working really well. Have you found people with a similar ‘food’ ethos to you in Manchester? 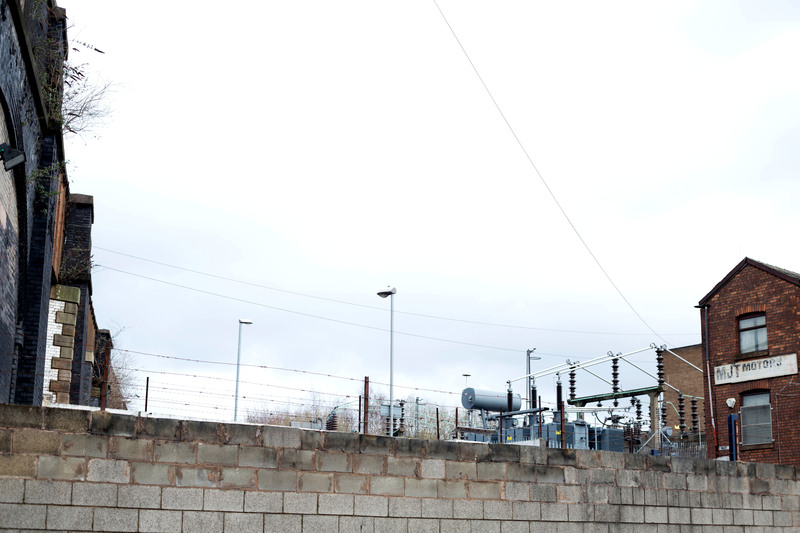 Bailey: There are people in Manchester who don’t just accept that Manchester is perfect. There’s the popular line, ‘Manchester’s brilliant, we do things differently up here,’ but I think we’re part of a group of people who don’t necessarily agree with that. We think that Manchester could definitely be better and there are certain things happening that we’d like to change. We’d like to make new opportunities. Have you seen anything around the world that you really admire in terms of street food markets? Bailey: We’ve seen great street food events in Copenhagen and Berlin but we’re avoiding looking to London for inspiration. Despite the fact that they do some great street food events and are more varied, a lot of it is still going down that commercialisation route, bringing in big restaurants, and then there’s smaller street food traders becoming huge overnight. It sort of loses that link that we’re trying to create. Is a nice, safe, commercial route not an attractive one? Bailey: When we were selling food as ‘Arepa Arepa Arepa’ were were offered opportunities to expand. We said no because we wouldn’t have been able to run it ourselves and we would’ve lost the connection that is so important to us. It was our food and our business, and if it had grown we wouldn’t have been able to be at every single event. That wouldn’t have felt right. For me it’s about the people eating the food and the people who are serving the food too. When making food for Arepa Arepa Arepa, and now, with the GRUB events, I want to make that chain as short as possible. A street food trader can legitimately cook something with ingredients that have been grown really locally, then as well as being the person who makes the food, they’re also the person who serves the food to customers too. There’s no middle man. The chain is very short. Bailey: We’d done a Brew Tap event together, last Summer. I’d asked Jon about using the car park at Blackjack. Jon: In the meantime I’d been looking down the archways and talking to Network Rail about possibilities of putting on some large events. It was a subsequent conversation in the pub with Bailey that made us realise that we both had ideas focused around the same area. We were specifically interested creating an event involving good food and beer (under one roof) and it would be supported by loads of music. The initial idea was to do a market and then it developed into an idea to find a permanent space. We thought that if we focussed on one archway, and held everything in there, that would really work. Jon, what is your background? In about 2012 I started distributing beer. I’d previously run pop-up bars – in fact, me and Bailey are from a similar kind of background. I came from a music promotion background and got fed up of putting on good shows in venues where the only beer available was rubbish. I was interested in creating something where the quality of the music was matched by the quality of the beer. It was a very basic idea. 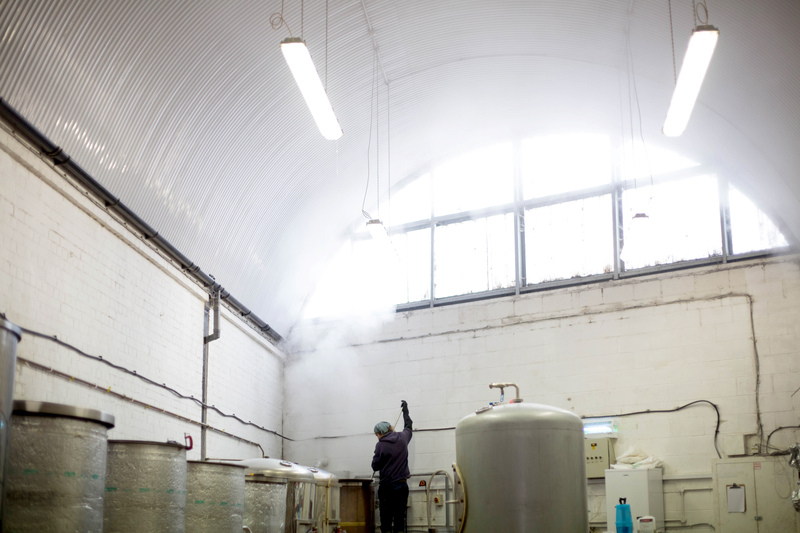 At that time there was a brewery starting called Wild beer. My partner had worked with them previously, and knew their beer would be good, so we decided to buy a load of it in bulk. It was really good and we then started to use that as our main beer at events. The rest, we would sell on to local pubs and bars. That’s how we ended up becoming a distributer for that brewery. 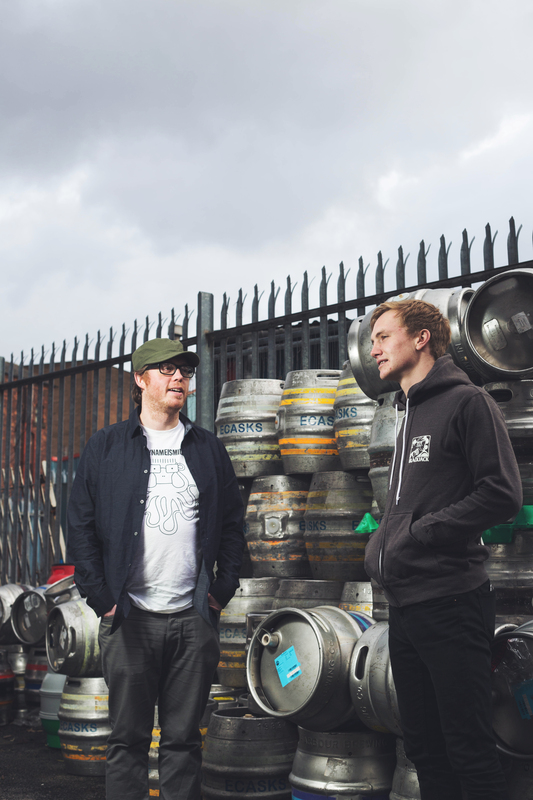 That grew and grew and grew, the distribution side took over (the music side actually got left behind) and then we were fortunate enough to merge with BlackJack Brewery which was really beginning to establish itself as one of Manchester’s exciting new breweries. It’s all about beer now. The ultimate goal is to bring it back round again so that we’re again working with the beer, music, and of course, now, the food. Tell me about the ‘Keystone’ Kickstarter campaign? Bailey: We’ve started a Kickstarter campaign for our current project, to create “A new flexible events space in The Green Quarter, Manchester designed to support independent artists & grassroots food/drink operators.” It will be called ‘Keystone’. We’ve also announced that Shebeen Festival 2015 will take place on May 2nd with the Keystone building hopefully being the central hub for the festival. 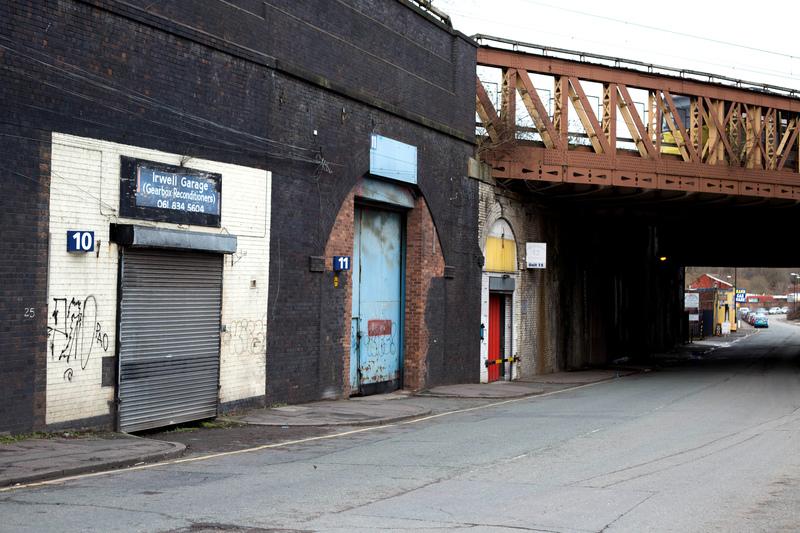 It will be located in one of the railways arches on Corporation Street in Manchester’s Green Quarter, just a few arches down the road from Pop-up bikes which has been there for a couple of years now. The Kickstarter is going well, but it’s scary. We’ve got quite a long way to go with the funding still, but we are ahead of target. It’s just the way that Kickstarter works, there tends to be a massive spike in the interest in the last 48 hours. Looking at the stats it seems likely that it’ll be a positive outcome. It will finish this Sunday, 1st March, at 6pm, and so far the interest has been brilliant so we’ll just have to see how it continues. So far 250 people have bought tickets for the festival despite the fact that all we’ve really said on the Kickstarter site is that there’s going to be a festival and there will be good beer, as well as music and art. It’s amazing that people have bought into the idea so much, we’re very happy. The way Kickstarters work is that you can just choose to pledge a sum of money, or you can pledge a certain amount for a number of different rewards. The basic reward for investing in the ‘Keystone’ Kickstarter will be a ticket to the Shebeen Festival we’re planning on the 2nd May 2015. We’re spending a considerable amount of our time at the moment planning the festival so the Kickstarter campaign is really important. Tell me a bit more about the Shebeen festival? Bailey: The festival will be pretty big lasting 1 day over different venues in the Green Quarter. It will be an all day event (12pm – 11pm). It will be family friendly, with an inclusive atmosphere, lots of fun things to do. The food fest section is going to be quite special; the theme is ‘Never seen before in Manchester’ so we’ll have totally fresh traders plus some locals doing special menus. The following day is Sounds from the Other City which is a beautiful event and it’s in a spirit similar to ours, so we didn’t want to collide. Jon: From an attendees point of view it’s potentially a really good weekend. People could come to Manchester and Salford and really make a weekend out of it. What happens if the Kickstarter isn’t successful? Jon: If, for any reason, the Kickstarter campaign doesn’t work then we’ll just have to re-address how we’re going to make the festival happen further down the line. Even if it isn’t completely funded, it is very unusual – coming from the music background – that this many tickets would have been sold for an event like this already. That response alone is incredible and a really positive sign. If the Kickstarter is successful we’ll be able to look at investing in the ‘Keystone’ building – Arch 10 on Danztic Street. The Kickstarter campaign will act as a really useful proof of concept when we’re looking for additional support. What else will you use the Keystone building for other than the festival? Bailey: A lot of independent promoters have been touch to say they’d like a new venue to hold gigs. That will be a big part of it. Jon and I were both DIY gig promoters before this – perhaps that is why we work so well together. A big comedy promoter has been in touch also, and there are proposed exhibitions too. It will be an event space but it won’t be limited to music, although it will be a big part of it. Jon: The space will have a variety of different uses. It could be a wedding venue, for example. We’ve had multiple wedding enquiries already. It’s one of the rewards on the Kickstarter page; if you invest £500 in the Kickstarter you can use the space for whatever you want. It’s a great deal in terms of wedding venue hire. We’re also hoping to host theatre productions and cinema nights. How will the redevelopment of ‘Keystone’ take place? Jon: Network Rail are redeveloping this whole area and they want to make positive changes to all of these archways. They want to give them a sense of identity and do something quite unique in terms of redeveloping the area. They’ve been working really closely with local communities and local businesses. It’s a really new route for them so it’s taking time for those plans to go ahead. They’re hoping to fill these arches with nice businesses, bars, cafes, bakeries, shops, and we’ll be showing them the potential that the area has. It’s part of the reason why we chose the name ‘Keystone’. We’re hoping that we’ll provide some central support for other businesses who want to move to the area, even if it is ironic that ours will be the only arch that doesn’t have an ‘arch’, or a Keystone on the front wall.